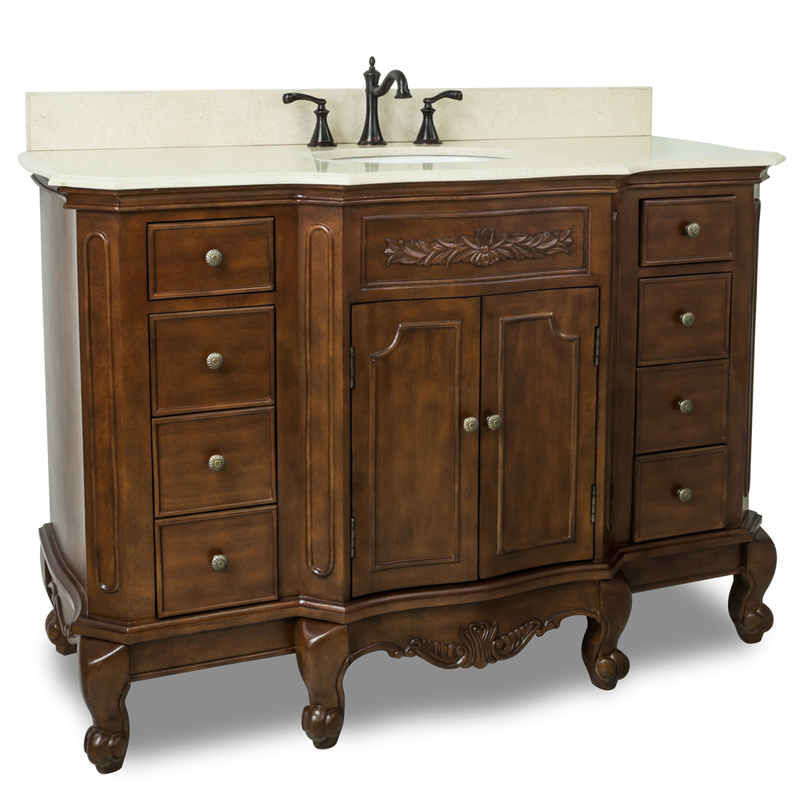 The 50.25" Mission Bay Single Bath Vanity is a stunner that will give your bathroom flair. 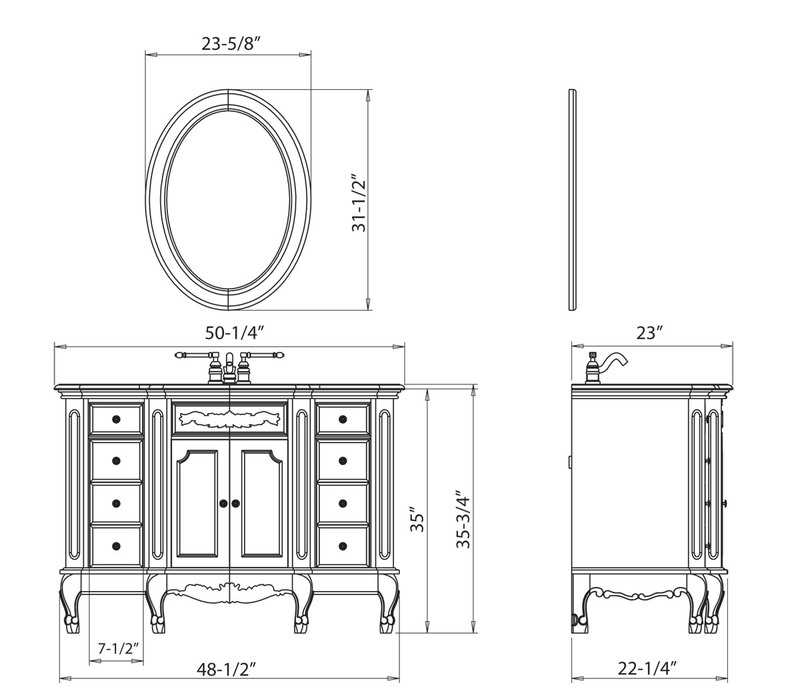 With tons of counter space and gorgeous woodworking, this vanity is functional and stylish. 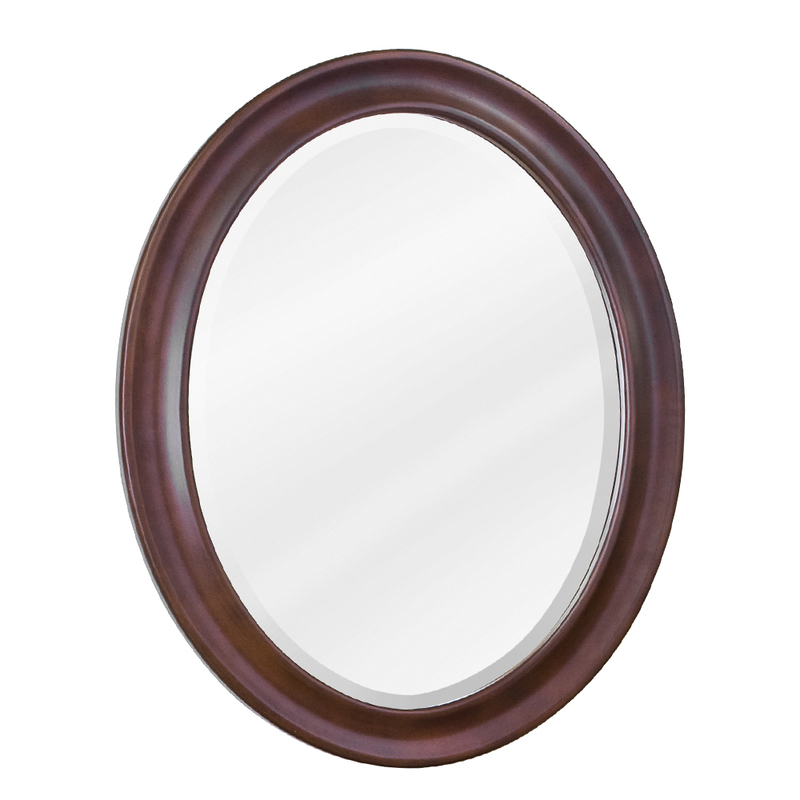 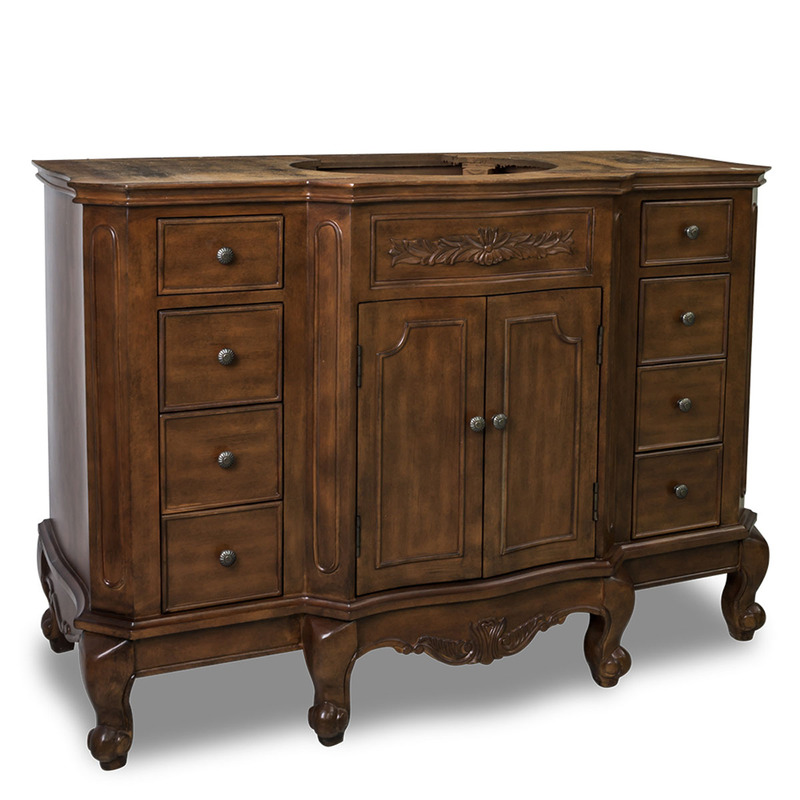 Its warmth exuberates from the gorgeous Nutmeg finish and is stylized with gorgeous woodworking along the top and bottom panels that are showcased by the beautiful scrolled legs. 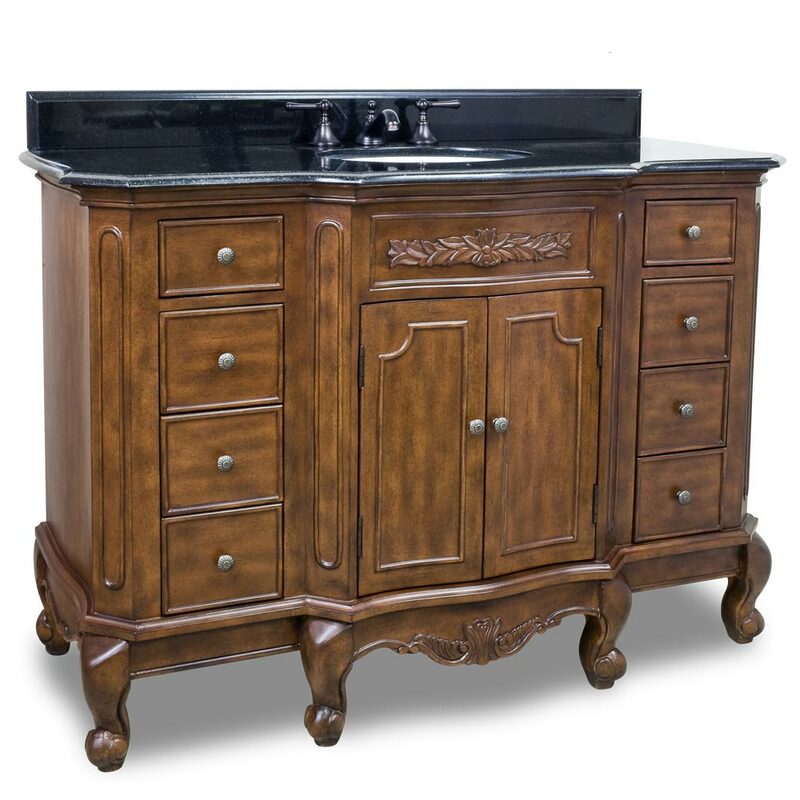 A central double-door cabinet and 8 fully functional drawers offer plenty of organized storage space, while the beautifully carved black granite top finishes this vanity with elegance.